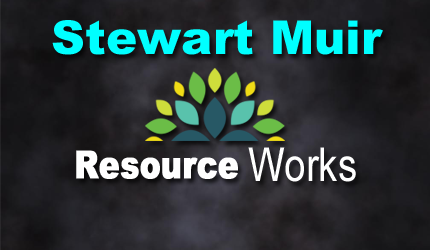 Stewart Muir is founder and executive director of the Resource Works Society, a Vancouver-based group open to participation by British Columbians from all walks of life who are concerned about their future economic opportunities. 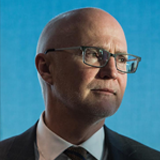 He is an author, journalist and historian with experience on three continents including a financial editor of The Vancouver Sun responsible for mining and markets coverage. Since Resource Works was established in 2014, the group has gained international recognition for its practical approach to the public challenges of responsible natural resource development and use. While some peddle the myth that China is not interested in buying high-quality crude oil from Canada’s oil sands, here’s the evidence that proves otherwise. It seems like in the search for ways to oppose Canadian energy sovereignty, there is no argument that hasn’t been tried. Unsafe, undesirable, uneconomic…we’ve heard them all. It’s a real mystery as to why this opposition even exists. Getting crude oil to tidewater is the single most important thing that Canada can do to create environmentally responsible, long-term prosperity for Canadians. This is a baffling statement because right now, Canada has an extremely limited ability to even get its oil to China. That’s because there is a dire lack of transportation infrastructure. Oil prices have been increasing steadily since the start of 2019. Market intervention in Alberta reduced the harmful discount suffered by bitumen-derived heavy crude oil from Alberta. Yet the video above, based on a ship that left the Port of Vancouver on April 4, 2019, shows that China’s willingness to buy Canadian oil is very much alive and well. Whatever the real motivations are for that dubious statement by Robyn Allan, the video is irrefutable evidence that China does, in fact, continue to buy what little Canadian oil is presently available for overseas export. The question isn’t whether we can get our desirable product to market safely. As the video shows, safety measures in place including tugs and marine pilots ensure that there is no reason to think Canadian standards are lacking. The real question is, how soon will the Trans Mountain pipeline expansion project be complete so that an environmentally responsible, necessary commodity can be provided to an overseas market that is requesting more?